Most people get sick in winter. This is because the changes in temperature weaken our immune system, making it more likely for us to catch viruses and the like. If you want to have the best chance of not getting sick in winter, ENT doctors have a number of ways that you can keep yourself healthy when the temperature drops. We have some of the best tips you should keep in mind below. They can make a huge difference this winter season. Flu Shots: This may seem obvious, but getting your flu shot every winter can save you a lot of illnesses. A flu shot can truly protect you against getting this debilitating sickness, so that you can go about your daily life without issues. Wash Hands: Wash your hands as much as you can. Most people get sick because of touching something someone who is ill has touched, so you want to carry disinfectant wipes with you. If you tend to have a lot of people come into your work space, take the time to wipe down surfaces with disinfectant, too. The more you wash your hands in the winter season, the less likely you will be to get sick. Vitamins: We have all heard that we need to take our vitamins. This is very much a must during the winter season, when it is harder to get vitamin D from the sun. Be sure to hike up your vitamin intake as soon as the weather gets chilly so that you can avoid any health issues. Rest: One of the things that can lower your immune system the most is not getting enough sleep. ENT doctors find this to be one of the main reasons people get sick in the winter. You want to keep your immune system working as well as possible to be able to fight off any illnesses. Most doctors recommend at least seven hours of sleep to keep your immune system working at its best. Use Nasal Sprays: A good way of preventing nosebleeds and even sinus infections in the winter is to use nasal sprays. 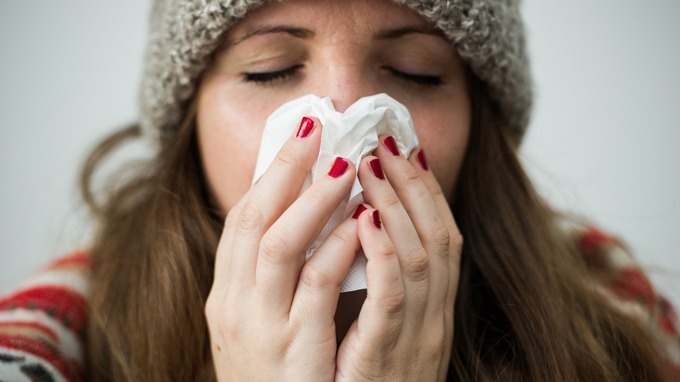 The cold can dry out the nasal passages in a way that makes them prone to irritation and prone to housing bacteria. By regularly using nasal sprays, you will be flushing all of this out and making it less likely to develop sinus issues during the winter. There are a number of great nasal sprays that you can choose from, so ask your doctor for their recommendation. All of these tips can make it possible for you to enjoy the winter months without getting sick. By opting to get a flu shot and washing your hands a lot when the weather starts to change, you will start seeing that you get sick less often. As Houston ENTs always say, rest, eating correctly, and taking your vitamins can prevent a lot of serious illnesses when the temperature becomes chilly. As soon as winter approaches, start taking precautions to prevent all kinds of illnesses.